What a gorgeous day we've been blessed with! 78° was our high temperature today (originally, I'd posted 77°, but we 'snuck' up another degree at 4:25 pm). 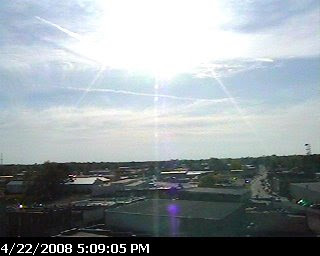 Thought I'd pass along this photo from our Cookeville-Putnam County Emergency Management Agency's webcam high atop our Drama Center here in downtown Cookeville.